These are the most recent Painted Puppy adoptions. 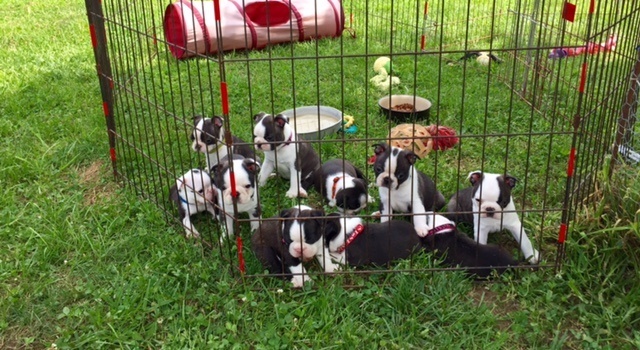 Puppies can leave for their new homes at 8 wks of age. Puppies are picked when they are 4 - 5 weeks old. M1 - Aristotle - Adopted by Codie F., TX, now "Jasper"
GCH CH Sired Panda x GCH CH Rockwell female, Pixie- now Matilda aka "Tilly" went to her new home in Arlington VA- Aaron Rock and Lexie Hosier. 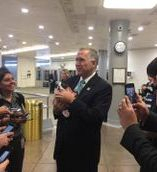 Lexie works for NC US Senator Thom Tillis. 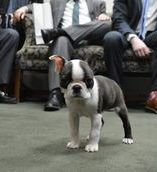 Senator Tillis took Tilly to the Capitol on Tues. 1/24- He named her the official office Mascot. She met a lot of Senators, staff and many others- and was a hit on Capitol Hill and with the Capitol Press. 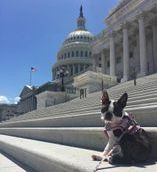 Tilly on the steps of the beautiful Capital Building. Tilly is a hit with the Capitol Press. Tilly thinks she is the center of attention on Capitol Hill. -my contact information for a lifetime 24/7. There is an x-pen "set-up" on my website at bottom of the Litters Due page, as well as other examples of containment, for when you are busy or gone from home awhile. ALL PUPPIES HAVE DEPOSITS PLACED ON THEM- just waiting till they are old enough to go to their new homes. 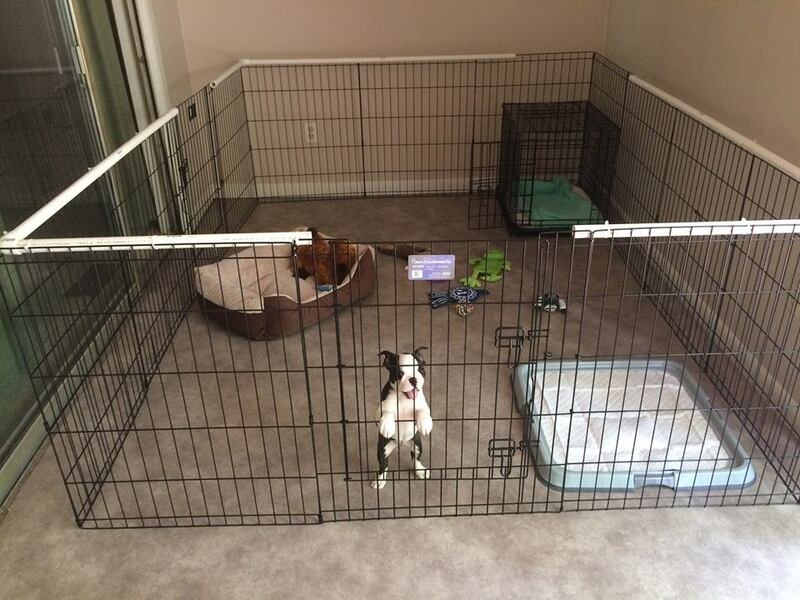 BELOW is a GREAT INDOOR PUPPY SET UP!!! Just x-pens put together with piping to hold a shape. x-pens are reasonable $ on eBay. Below are puppies enjoying playing outside- there is also a cover you can get to go over the top - I use a sheet with clothes pins sometimes.